Last week, a source familiar with the negotiations over Olbermann’s new contract told us that they were “95 percent” dead. Olbermann has been highly critical of NFL commissioner Roger Goodell on his show—just like Bill Simmons, who found himself unceremoniously dumped two months ago—and the source told us that Olbermann’s refusal to cease his critical commentaries was the biggest sticking point in the negotiations. ESPN pays the NFL $1.9 billion per year to broadcast Monday Night Football, a deal that runs through 2021. With live sports broadcasting contracts already signed, one of the places Skipper can save big money is with talent. 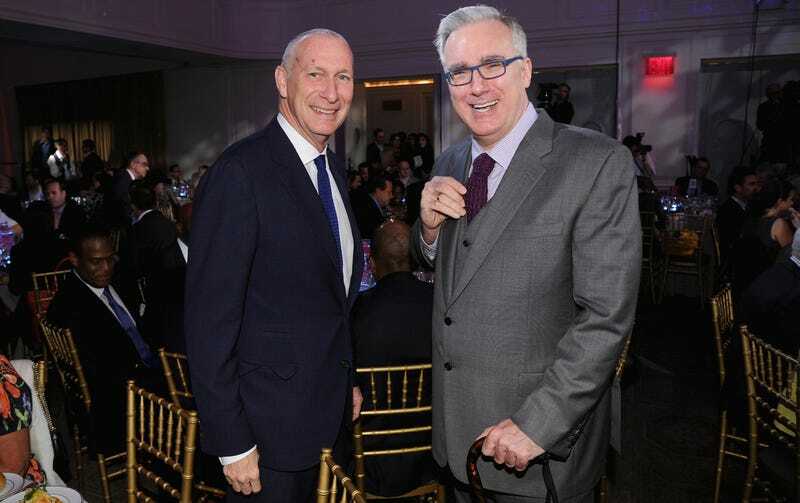 By cutting loose Simmons and now Olbermann, it sends the message to other highly-compensated talent that they shouldn’t expect an open wallet and a blank check come contract renewal time. Olbermann’s departure is another sign that ESPN is struggling to provide highbrow, high-quality sports and cultural coverage. Olbermann’s show, whatever you thought of it, was infinitely more intelligent than the rest of the ESPN2 lineup of talking heads yakking. Coming on the heels of Simmons’s firing, which has pitched Grantland headlong into an uncertain future, and the removal of Jason Whitlock from his own stillborn website, and it sure looks like ESPN is getting out of the “vanity project centered around a popular commentator” game.